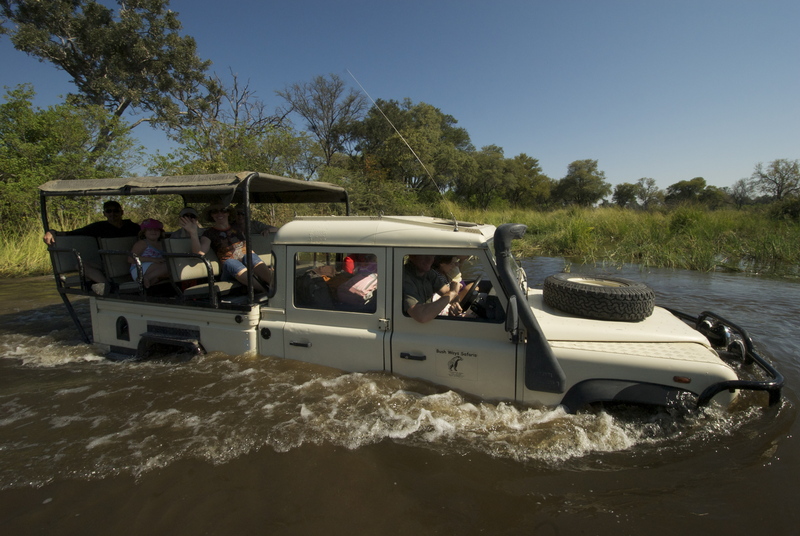 Exploring Botswana on a self-drive is becoming more and more popular. However it is not for the faint hearted nor is it for the ill prepared. We realize it is time to give you, our agents, a small guideline how to consult clients who want to drive themselves, what to expect and who the ideal candidates for such an adventure are. 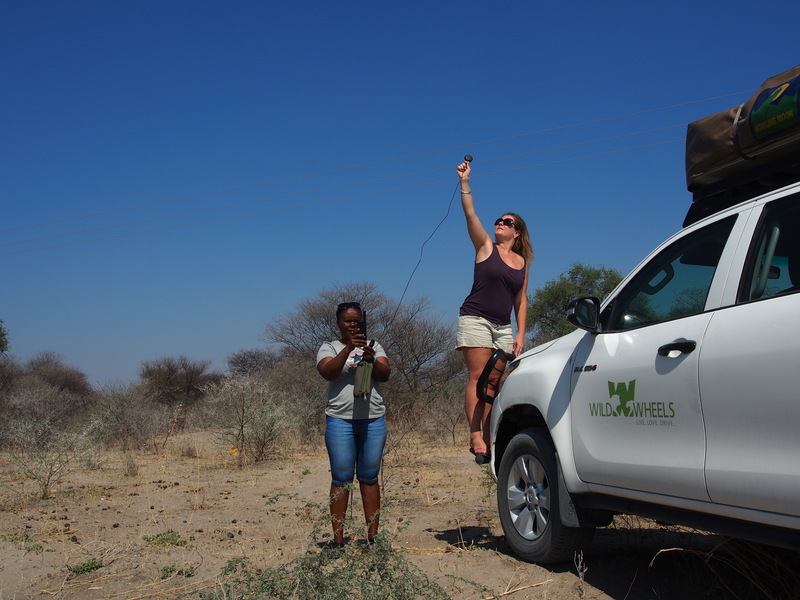 Very often we receive enquiries mentioning that the clients are very experienced as they have been self-driving in Namibia and South Africa. Well, well…. Botswana is a totally different level of adventure. 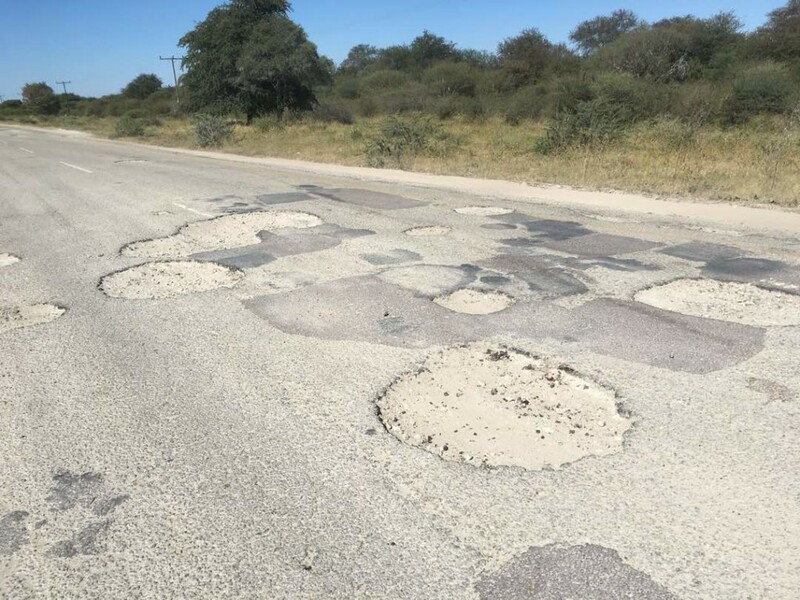 Unfortunately, Botswana cannot be compared to South Africa or Namibia where the roads (and road signs) are generally very good and the whole experience is pretty straightforward and uncomplicated. Botswana is actually a fly-in destination. There are 18,482 km of beautiful highways, but only a quarter of these, 4343 km, are paved or tarred, which is not to say those don’t get flooded nor are they kept in good condition. It is a well known joke that we all hold a degree in driving and are pros at dodging potholes! All expert professional guides work by the following motto: Proper Preparation Prevents Poor Performance and this very much applies to planning a self drive itinerary too whether you’re planning a route on the main roads or an adventure through the parks! In all seriousness, contemplating a self drive itinerary through Botswana incorporating its National Parks is not to be underestimated and can be seen as an authentic “cultural experience”. One must have a sense of adventure and take all that is African in their stride from long delays to the often comical communication glitches. As mentioned above there is a very limited road network with single lane highways, no hard shoulders and minimal road signs so don’t consider the holiday ruined if you encounter challenges along the way or things don’t go according to plan – it’s all part of the adventure. The season one decides to travel in is also vitally important. 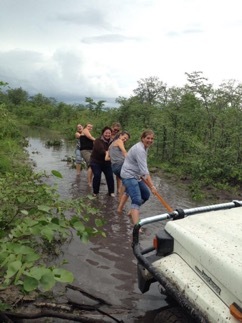 There is almost only a short window of opportunity because the summer months – our rainy season – is highly unrecommended for all areas in Botswana as can be seen below when even us experienced bush girls got hopelessly stuck in the mud for hours. Nor are the winter months – which is our dry season, flood levels are high – this is to be considered if the Delta is on the itinerary. Depending on the size of the flood most of the roads are closed and bridges overrun by the flood waters, therefore decreasing the area that can be navigated and explored. 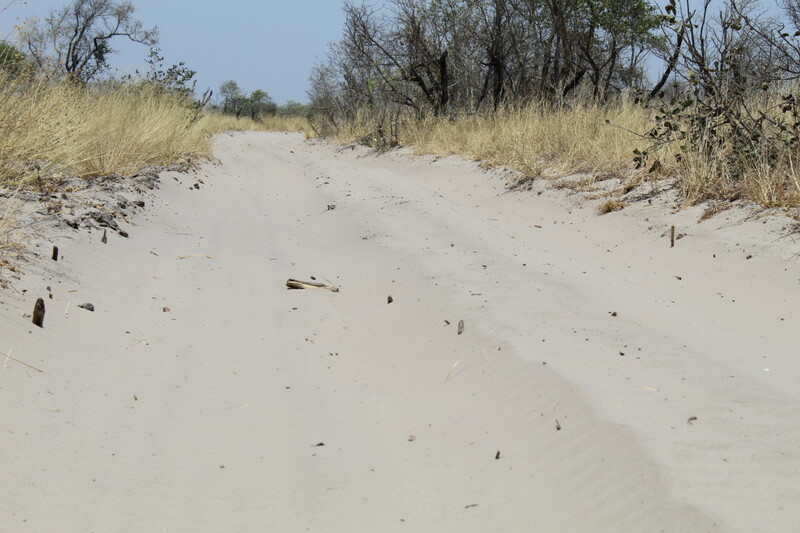 Towards the end of our dry season the temperatures sky rocket so all the sand roads become very thick and very sticky and unless the clients know what they’re doing with their gearbox and tyre pressure getting stuck is virtually guaranteed. The free ranging wildlife is another element of self drive itineraries that may cause some excitement. All parks in Botswana are unfenced (as are all of the neighbouring countries except South Africa) which means animals are free to roam and this they do to their hearts delight. Travelers need to have some basic understanding of animal behaviour and know that animals always have right of way. It’s not only the wildlife that uses these road networks, but also a huge amount of domestic livestock, who move between grazing and water sources. This means that not only does one need to have the utmost respect for all animals but driving at night should always be avoided. What a lot of people also don’t realise is that the distances here are not navigated at the same speed as they are used to at home. 100km here does not mean 1,5 hours… It can easily take 4-5 hours to cover 100km – due to the road conditions, animal movements and the clients’ knowledge of challenging 4×4 driving. One can have the fanciest, finest equipped vehicle, with all the latest gadgets but have no idea how to put it into 4 wheel drive let alone Low range or difflock. So unless clients have that knowledge, no matter how fancy their car is, if it’s stuck in 2 wheel drive they will not get out, and revving the engine, burning the gearbox and spinning the wheels will not get them out any quicker. Can you imagine the stress of knowing you’ve got an international flight to catch but you’re stuck out in the middle of the bush, trying to dig your way out of the sand? This is why we always recommend a pre-night in town before flying out! There is a lot to consider when booking a self drive itinerary so let us advise you on the best routes to take, the best time of year to successfully navigate the inevitable challenges and the 4×4 driving courses we recommend clients take, before embarking on this adventure! 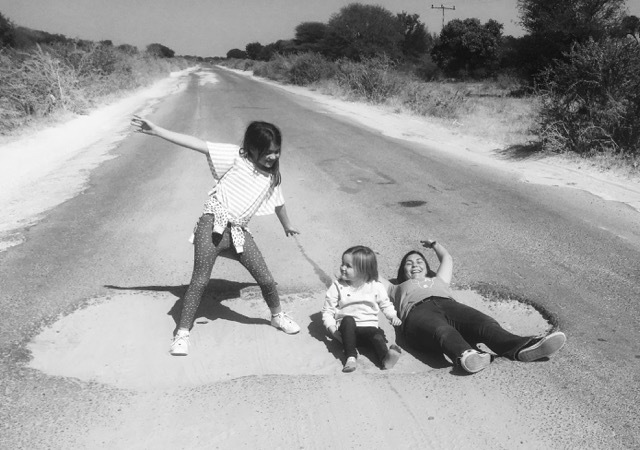 Be open minded and flexible: driving in Botswana is not as easy as you may think. Road conditions can be challenging in many areas and include soft sand, slippery clay, deep water and broken bridges. Getting stuck or breaking an essential part of your vehicle happens easily and often. Be prepared: plan your route carefully and don’t underestimate the time it may take to cover those distances. Make sure you have rented the correct type of vehicle and your car has all the necessary equipment from highlift jack to a spade and most importantly a GPS (Download the tracks4africa App which works OFFLINE!) and ideally a satellite phone. You will be in remote areas with no cell phone signal and the next car coming might be days away. Carry more spares and extras than you’ll ever think you’ll need – i.e. fuel, water and tyres without overloading your car. Have a nicely stocked medical kit with you – the smallest cut can turn into something nasty quickly in the right conditions. Treat officials and bureaucrats with respect. Losing your temper never gets you anywhere. Remember the 3 Ps: politeness, patience and perseverance. Be aware of rules and regulations: Botswana has so-called vet fences which prevent the spread of highly contagious diseases such as Foot and Mouth. These fences restrict the movement of any cloven hooved products so you might end up handing in your recently purchased BBQ meats and road snacks to the local officials and you will not win any argument with them. If you change your plan and arrive a day later or not at all at the next prebooked accommodation, please let us know, otherwise we will start a search which can become a challenging thing, like finding a needle on the Salt Pans. Embrace the spirit of African adventure in all its glory! Do NOT drive off-road! This is prohibited in all National Parks to keep the wilderness pristine and undamaged. Respect those rules also outside the parks. Also driving around a puddle is not always the best route – if you don’t recognise Mopane forests for the treacherous things they are then you will inevitably get stuck driving around the puddle rather than taking the road most traveled straight through the middle of the puddle. Do not drive in the dark. Do not feed the animals, this will only encourage them to lose their fear of humans which can end disastrously. Do not leave your vehicle under any circumstances. You do not know the bush nor the animals. You have a better chance at staying alive with access to the safety of your car and the copious supplies of food and water then risking a walk through the bush and an encounter with a buffalo. EVERYTHING out there is faster than you are. Do not lose your sense of humour – Africa will inevitably throw challenges at you and keeping an open mind about it all will prevent you from losing your sense of humour and/or patience. Do NOT travel unprepared. Study the maps, directions and distances while planning your trip not once you arrived in the country. Prebook all accommodation, Botswana has a very low population density, distances between villages can be huge. If planning a camping trip, campsites have to be booked about 11 months before travel to avoid disappointment. Most importantly: Botswana is by far the most challenging destination and can in no way be compared to Namibia, South Africa and even Zimbabwe and Zambia due to the unique circumstances of season, habitats, environmental conditions and lack of infrastructure!